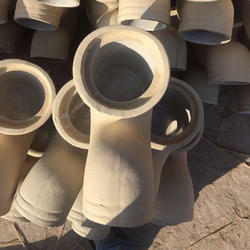 With immense market knowledge, we have been able to provide optimum quality Ceramic P Trap. UPVC traps are very important parts of drainage and sewerage system and are most critical to ensure efficient working of the system. Traps prevent foul gases or air to enter back in passage and at a same time allow waste to flow through them. We are successfully meeting the varied requirements of our clients by providing the best quality range of P Trap Big. Singhal Iron Foundry Pvt. Ltd.
Our range of P-Trap is known for their excellent features like durability, corrosion resistance and high functionality. These are used in homes, hotels, residential buildings and in many other structures. These P-Trap are widely available in various dimensions and specifications. These come in a variety of colors and shades and sizes.